Data analytics is being touted as the new ‘black magic’ of marketing, but there are still a range of Australian organisations struggling to get a handle on how to make data work for them. According to a report produced by research and consultancy firm, Fifth Quadrant, last year, as many as half of all Australian organisations have admitted their attempts to utilise data to improve customer experience failed. We speak to a range of experts on big data and data analytics to gather up their top tips for how you can build your data analytics roadmap. Nearly three-quarters of the time Accenture’s Australian data analytics lead, Michael Pain, spends with customers is on scrubbing data and tidying up IT infrastructure, and other consultancies face similar issues identifying where data resides. “We find that when we undertake the proof of concept with clients, at least 60-70 per cent of the time we spend will be on getting legacy data organised, available and scrubbed is frankly a huge barrier,” he told CMO. Lesson: Your data is your best tool for competitive advantage: Treat it that way. Data analytics isn’t all about big data or massive volumes of third-party information, it’s about first utilising the data sets within your organisation. According to founder and CEO of marketing analysis consultancy Fifth Quadrant, Dr Wallace, most organisations don’t know how much valuable customer experience data they already have access to internally. 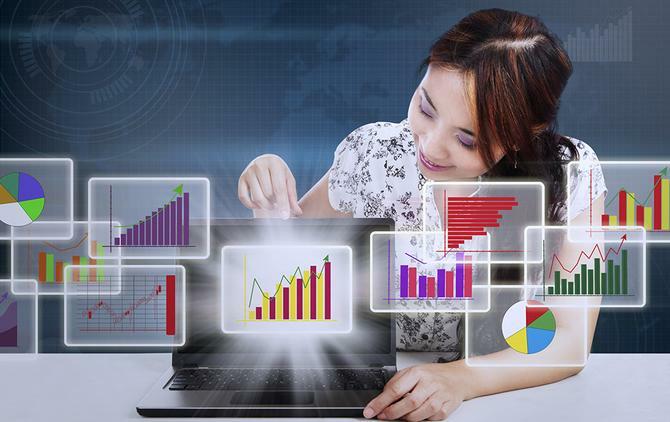 “When I ask CMOs, CIOs and CFOs interested in data analytics what data assets they currently have, particularly around customer experience, they’re not clear,” she explains. Often those responsible for certain data sets aren’t even aware they are responsible for upkeep and access, making more thinking around strategy, organisational design and ownership of processes around data vital. Lesson: Make sure you know where you data is, who is responsible for it, and where the gaps are. Data is about generating insights that tie to a clear business outcome. For Deloitte national leader, customer practice, Jenny Wilson, the best way to start utilising data is by first finding a specific pain point you’re looking to tackle: Is it about retaining a specific set of customers and reducing churn, for example? “Even just using these insights to adopt more digital channels by finding synergies and savings is an area of benefit,” she says. Lesson: Align any data analytics job to a specific business outcome. While it’s agreed solid technology platforms will be required to help crunch through large volumes of data and deliver insights in a real time or even predictive way, most of the industry recommends organisations tap into third-party skills to help get started on the journey. By doing this, you can build some quick wins which help prove the ROI for more significant investment. Lesson: Start small and build the business case first then make the technology investment. Organisations are struggling to act on even the most straightforward of insights delivered through information analysis because their organisation is awash with legacy processes, systems and siloed teams. “Operations have to change their operating model so that the analytics function is not a standalone or separate capability, but an integrated part of the processes they’re running,” Accenture’s Michael Pain explains. Lesson: Delivering insights isn’t enough: Organisations need to transform how they operate if they want to take advantage of new-found opportunities. Taking a data-driven approach has to involve the IT department. Analysts and consultants agree: The CMO-CIO relationship is vital to data analytics success. CMOs must spend the time on work with their CIO peers, as well as the data scientists and wider c-suite, to ensure the whole company benefits from taking a data-driven approach. Lesson: Build a better rapport between marketing, IT and data teams. Knowing what your customers were thinking yesterday is helpful for proving your worth after the fact, and a foundation for ROI, but reporting isn’t analytics. According to Deloitte’s Anthony Viel, up to 95 per cent of Australian organisations are simply reporting today, and only 5 per cent are using advanced analytics. Lesson: Look increasingly towards insights that help you pre-empt what customers will do next. Data analytics might be thought of as the ‘new black’, but creativity in terms of content and interaction remains an essential ingredient for customer engagement. As Infoready’s Tristan Sternson points out, all the best social media campaigns of 2013 were grounded in great content and that comes from creative ideas. What data does is make those creatively led campaigns and activities more accountable and targeted. In a research report for ADMA over why creativity actually wins out over data last year, UK marketing and advertising consultant, Peter Field, also challenged just focusing on data and short-term metrics for campaign effectiveness. “The great benefit of creativity is it drives this ‘buzz’ around your brand. Creative ads are more likely to be shared, passed on and virally moved about. That is very strong in terms of effectiveness over slightly longer periods of time,” he added. Lesson: True engagement with customers not only requires a better understanding of their needs and wants, but also creative content and experiences.